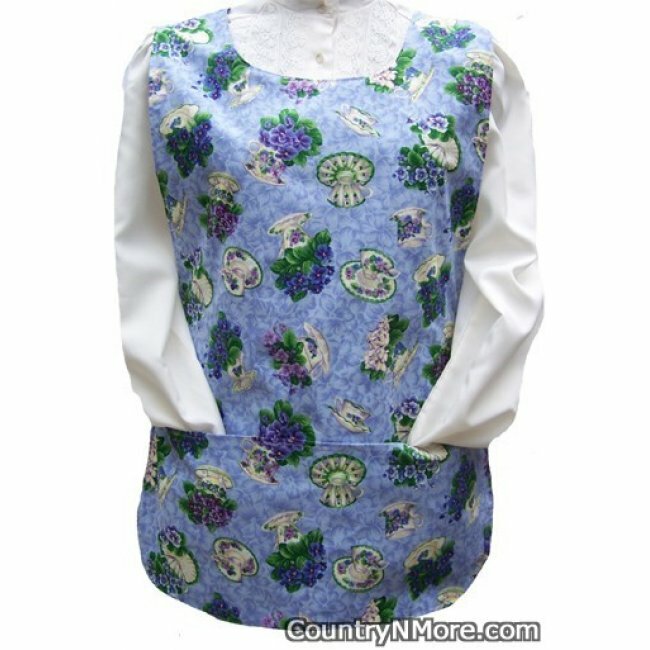 This gorgeous cobbler apron made from Debbie Mumm fabric has gorgeous purple African violets in teacups. This apron is too beautiful to pass up. 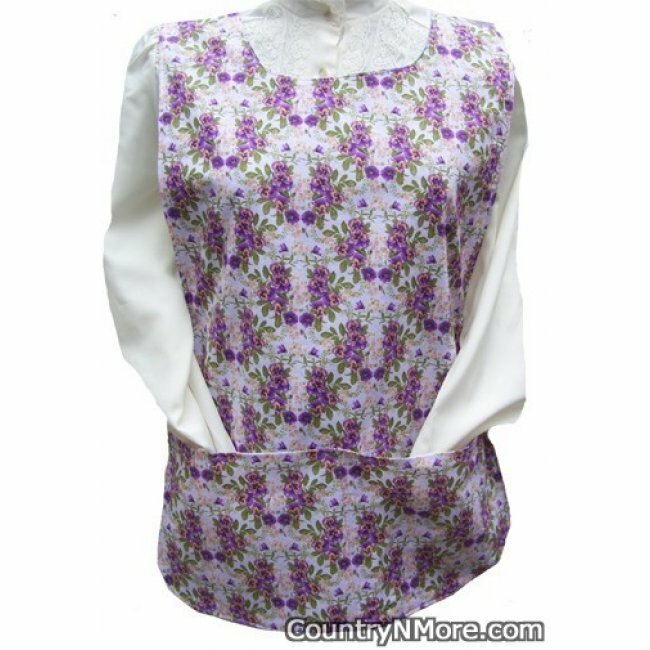 Now, on the reverse side, it is all about pansies set against a light lavender background. This apron will be spring in to your life, even if the weather is cold outside.